Libertarians For Justice | Libertarians for Justice because Truth is not enough! 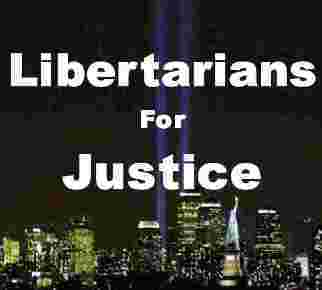 Libertarians for Justice because Truth is not enough! We, the undersigned, demand a publicly conducted Congressional Inquiry, with full subpoena powers, into the largest terrorist attack in American history. The committee shall meet, ask questions, and demand answers until We the People are sure beyond a reasonable doubt that the terrorists have been brought to justice.